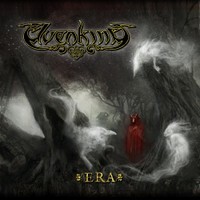 Elvenking is one of the first power metal bands from Italy who added some graceful folk elements to their heavy rocking powersound. They started in 1997 and released their first album ‘Heathenreel’ in 2001. Since then they have built up a solid fan-base over Europe. 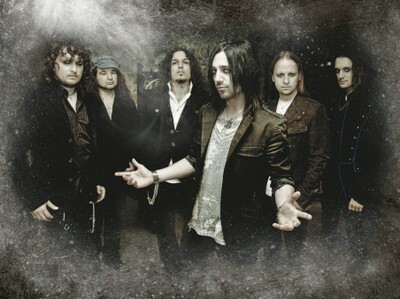 Two years after ‘Red Silent Tides’ their seventh studio album ‘Era’ was launched at the world in September 2012. We had once more a debonair talk with guitarist Aydan. It has been a while since we spoke to each other, so let us have a nice update of things. The previous record ‘Red Silent Tides’ was supported by gigs all over Europe. Can you tell anything about that experience? We did a tour all over Europe with Primal Fear and of course it is great for a small band like us to hit the road with them. We had the opportunity to travel across Europe and did not only focus on Germany. That was a great experience. We learned a lot when watching the other bands, seeing how professional they are. Except for the tour with Jon Oliva, it was one of the longest tours we ever did. Unfortunately we do not have the possibility to do very long tours that often. We also had our headline shows from time to time. After the release of the folk album ‘Two Tragedy Poets (…And A Caravan Of Weird Figures)’ we were able to do that. If there is a good opportunity, we do it. For example, this spring, we did a leg of the European tour with Rhapsody Of Fire. It was mainly Eastern Europe, so we went to Poland and Czech Republic and so on. It depends on the chances we get. You played at Summer Breeze. That seems to me a festival, more focused on brutal metal and moshpits… wasn’t it hard as folk/power metal band? Playing at Summer Breeze was an amazing experience, because we played very late at night. I think it was 3am. The place was packed with people and crowded as hell. We had a lot of fun. With the new album we will try to do as much as possible big festivals, because we can show to a lot of people what we can do with one gig. Exactly. Many people come to us and say: “I liked the show. I did not know you were so good”, that’s how they pick up the latest album and hopefully be interested in checking out our previous ones as well. The good thing for us is playing in clubs, but also festivals to reach a new audience. Even though we have been around for quite a while now, still many people do not know exactly what to expect from Elvenking. Yes, I think this album is a bit of closing a chapter and entering a whole new era for the band, you know. We had some line-up changes and recruited any new members. Also for the sound, I think, we have considered a return to our initial sound. We have gone back to the sound of the first three albums. We kind of closed the circle and looked to what the band was and what the band can be nowadays, with all these years of experience. With the previous album ‘Red Silent Tides’ we used a production close to a hardrock sound. We chose the producer Denniw Ward, who is very good in those kinds of sounds. We wanted to go back to metal and a heavier sound, so we decided to go back to Finland where we already recorded ‘The Winter Wake’ and ‘The Scythe’ for example. That’s true and that is probably why you could team up with Teemu (Mantysaari – Wintersun) who played a guitar solo on your album? Exactly. Those things happen by coincidence in the studios, especially when you record in a big studio in a country like Finland, where everybody breathes metal. Musicians come and go (laughs). Wintersun was working on the ‘Time’ album and we started to talk with Teemu and asked him if he would play a solo on one of our songs. Why not, he said and everything went smooth. That’s the amazing thing of recording in Finland in a well-known studio. I wish I was living in Finland. And you know what… when we were working on ‘The Winter Wake’, it was 2006, I remember Wintersun were recording the drums for that album. Five or six years ago, in the meantime we have made three albums hehe. Indeed, he is singing on ‘I Am The Monster’ and on ‘Forget Me Not’. 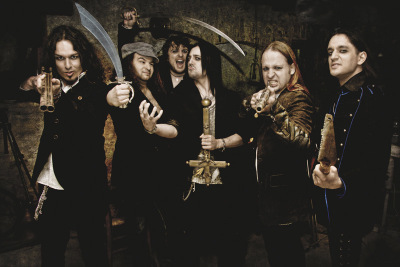 As you know we toured back in 2006 with Jon Oliva’s Pain and it was an amazing experience for us, especially from a human point of view. At that time we were a very young band and we travelled all around Europe in style, because we were on the same bus. We had the opportunity to be with Jon and his band mates and it was an incredible experience. Especially because they treated us so well, being a very young band, but they treated us in an extremely friendly way. So it was a natural thing to ask Jon if he want to do a guest appearance on our album. Obviously, he said we could have done much earlier, but we are not the band who only invites guests for advertising or publicity for the band. The songs we had written were fitting Jon’s voice very well and fortunately he felt the same way. It was amazing to have such a legend on our album. I grew up with the Savatage records when I was a kid! It is a great honour to have him singing on one of our albums! What can you tell about the lyrical contents of the new album? It is not a concept album. Every song has its own subject and stories, but maybe we can find a certain common idea behind the lyrics though. We wanted to go a bit back to the roots on the lyrical side too. We went back to how we see our pagan idea reflected in lyrics. Everything that makes you stand alone as human being, being proud of being different inside the crowd. That is one of the topics we often used in our lyrics. Being proud of what you are, in despite of all the difficulties you have to face, that’s important. For instance in ‘I Am The Monster’, you are the monster, but at the same time you are proud of what you are and do not fear how the other people judge you. You do not care about what other people say. There will be someone who can love you for what you are. The same things can also be related to our band. We are a band who tends to, especially on the last two, three albums, we try to experiment a lot and maybe we did it a bit too much. We got a lot of criticism from the fans, because we want to express ourselves as we want. We don’t want to do exactly what people might expect from us. We try to do what we feel from the heart and a lot of things were criticized, because they expected something different. But you know, you have to show your identity to be proud of what you have done, even if that is different from what people expect sometimes. As you said, Moonspell and maybe My Dying Bride… The bands that have no fear to experiment and express themselves in a different way are most interesting. Then maybe, when you have experimented and tried out things, you are able to go back to what you used to do as a band, but give us the freedom to try to do something different for ourselves and try to understand what we are doing. Sometimes you try to prove you can do something else as well. That has always been the philosophy inside the band. And when you experiment, you learn a lot: things you can use on next albums, I guess? That is what I think of the new album ‘Era’: a perfect summarising of our old sound enriched with elements of the experiments. The whole sound in the end is what I consider the final sound of Elvenking. The old sound, but coloured with the experience we have from ‘The Scythe’ album which was more heavy on one side, or ‘The Silent Tides’ which was more melodic on the other side and I think the sum of all this is perfectly reflected on ‘Era’. The folk elements are very present, but the heavy elements are very present too. I think we have found a good balance between all our features of the past. How did you get to know Maurizio Cardull of Folkstone who plays pipes, flutes and other folk instruments on the album? Folkstone are a very big band in Italy, but not abroad. Obviously they are speaking the Italian language, so they are mainly known in Italy and not so much outside our country. We have played several times with them, they are a great folk band. Again it was very natural for us to ask Maurizio. He plays bagpipes, tin whistles, and all those kind of folk instruments. With this album we had the intention to underline these folk influences with traditional real instruments. So we asked him if he was interested and obviously he was. I think this sounds great! You have shot a video clip for ‘The Loser’, the first track on the album. What about this experience? I am pretty satisfied about it. The last couple of video clips were not very good in our opinion. We decided to make one we can be proud of, of course with the budget we have as small band. I think the result is very good. On the 13th of September you played an acoustic showcase in Milan. What are your memories of that? This thing was a bit improvised. We were supposed to go to Milan to do interviews and radio stuff. At the very last minute they also offered us to do an acoustic show. We were pretty much not prepared to do so, but we thought: why not? At the very last minute we prepared a short setlist of eight, nine songs. It turned out very good. We are considering doing some acoustic shows, because I think our music can work in an acoustic way as well. Maybe we can present the band also from that side. We were experimenting with that on ‘Two Tragedy Poets’ and maybe we can do that again in the future. Recently we got good news. We are entering a big booking agency right now. I cannot say too much, because it isn’t 100% confirmed yet right now, but the things are developing very well for us at the moment, following on the release. For sure there will be much more live shows for us in future. Now we will start with an Italian tour, from January on we will be in whole Europe again. Did you hear something from ex band member Elyghen who moved to Ireland? He went to Ireland, that’s why he isn’t in the band anymore. He was supposed to be there for six months, but then it became another six months and so on. Now he is still working there, so we do not hear that much from him, but he is still our friend. It is a little bit strange if you have to replace members who were with you in the band from the beginning, but obviously when a band like ours changes from small size to medium size, it is very difficult, because everybody is much more busy. Many things need to be done and you don’t get rewards or money enough. That’s not so easy. We understand some people want to leave then. We are still friends with everybody.